Our Premium quality Compliment Slips are an ideal way to send simple communications in both a professional and personal way. Compliment slips allow for a personal touch in your client communications and are ideal for accompanying a delivery or for short, informal messages to clients. 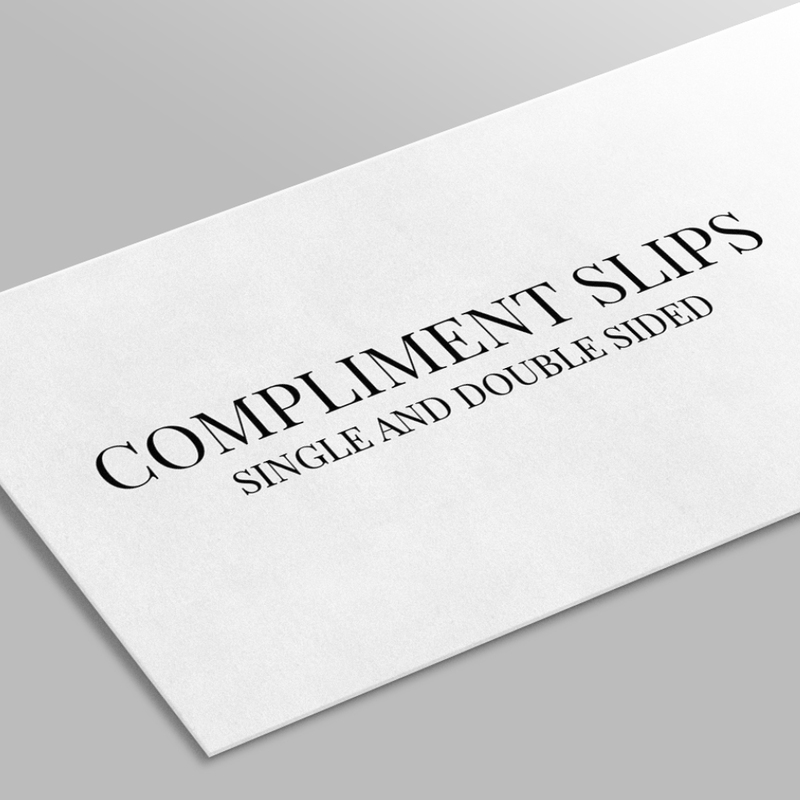 All of our compliment slips come in DL size on uncoated stock. You can choose between three paperweights and the 120gsm uncoated stock comes with the additional option of being made out of 100% recycled materials.